FRANKFURT (Reuters) -- Germany's transport ministry said it would send a fact-finding committee to Volkswagen this week after the carmaker admitted to rigging U.S. vehicle emissions tests. 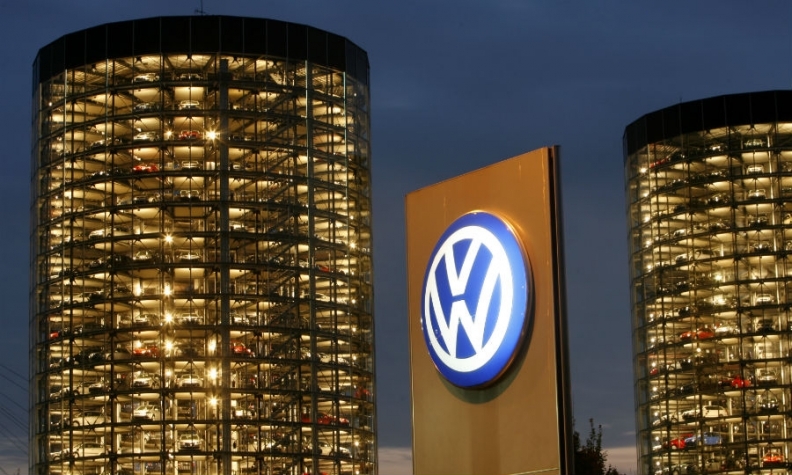 The committee will speak with executives at Volkswagen's headquarters in Wolfsburg, Germany, and request access to documents, the ministry said in a statement on Tuesday. "Our committee will examine whether the vehicles in question were built and tested according to German and European rules, and whether that was done in accordance with vehicle registrations," Transport Minister Alexander Dobrindt said in the statement. The investigators will procure documents and interview company executives, he said. There are no indications that other automakers engaged in similar wrongdoing, Dobrindt told reporters. The German government opened an investigation into VW after revelations that it cheated on emissions rules in the U.S.. The government said on Monday that automakers will be expected to pass on relevant information to the Federal Motor Transport Authority so that it can assess whether emissions data may have been falsified in Germany and other European countries. Allegations that VW hoodwinked U.S. regulators prompted a cross-party outcry over the potential damage to Europe’s largest economy and the reputation of German products. The carmaker said Tuesday that 11 million vehicles were equipped with the diesel engines in question in the U.S.
“I find what we’re currently seeing at Volkswagen shocking,” Thomas Oppermann, the parliamentary caucus leader for Germany’s Social Democrats in the lower house, told reporters. “The auto industry is the standard bearer for German exports and we can’t allow it to be harmed,” said Oppermann, whose constituency is in VW’s home state of Lower Saxony. Cars are the backbone of Germany’s export prowess, with autos produced by companies such as Volkswagen, Daimler and BMW accounting for almost 18 percent of exports last year. Volkswagen, which means “people’s car,” is one of the icons of German industrial might since World War II. That concern may be overblown, Michael Fuchs, a deputy caucus leader of Merkel’s Christian Democratic bloc, said in an interview on Phoenix television. Meanwhile, other European countries have stepped up their scrutiny of emissions testing in the wake of disclosures about VW in the U.S.
France launched a probe on Tuesday into whether Volkswagen had also used software that deceived U.S. regulators in some of its diesel cars in France. Environment Minister Segolene Royal said she had asked the U.S. Environmental Protection Agency for further information about the fraud committed by Volkswagen. She also asked French automakers to ensure that similar practices had not taken place in their companies. Italy too has asked VW to prove that the vehicles the carmaker is selling in the country do not contain the same devices discovered in the U.S. "I ask you [VW] to provide me with objective evidence that the cars marketed in Italy do not contain technical devices that alter results in emissions tests," Environment Minister Gian Luca Galletti said in a statement on Tuesday. If necessary, the minister also asked the carmaker to stop selling its vehicles in Italy and recall those already sold. The UK on Tuesday asked the European Union to investigate emission testing in the region. "It's vital that the public has confidence in vehicle emissions tests and I am calling for the European Commission to investigate this issue as a matter of urgency," Transport Secretary, Patrick McLoughlin, said in a statement.